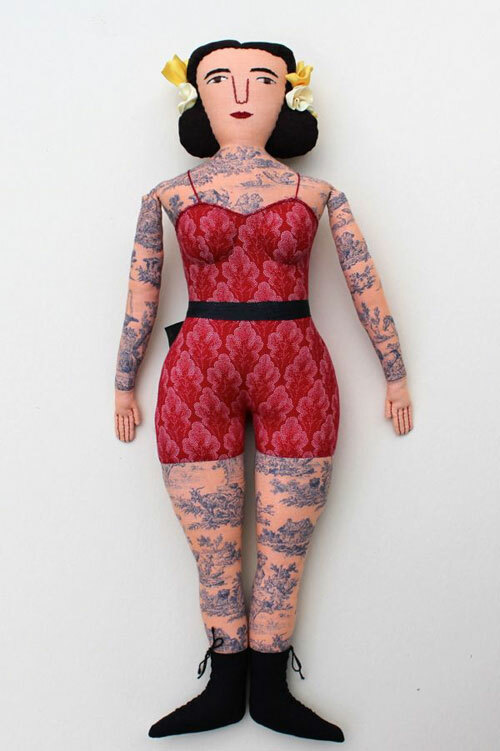 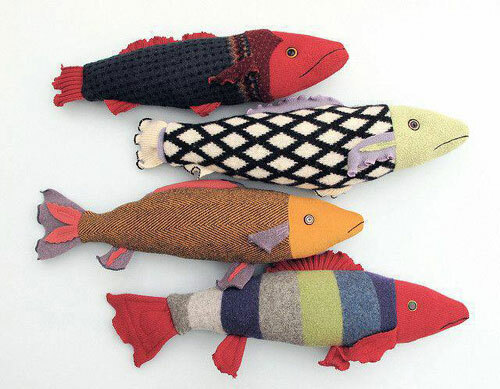 Mimi Kirchner has an experience of over 30 years as an artist and has been making textile dolls since 2000. 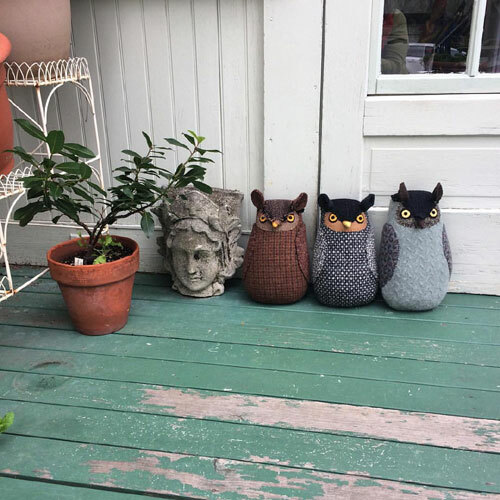 How it all started has an interesting story behind it. 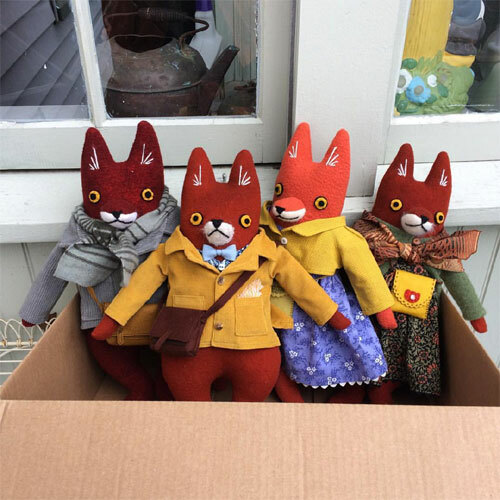 In the Fall of 2005, when Mimi was cleaning her mom's sewing fabric accumulated over fifty years she was inspired by the patterns and designs, so much so that she started to make dolls. 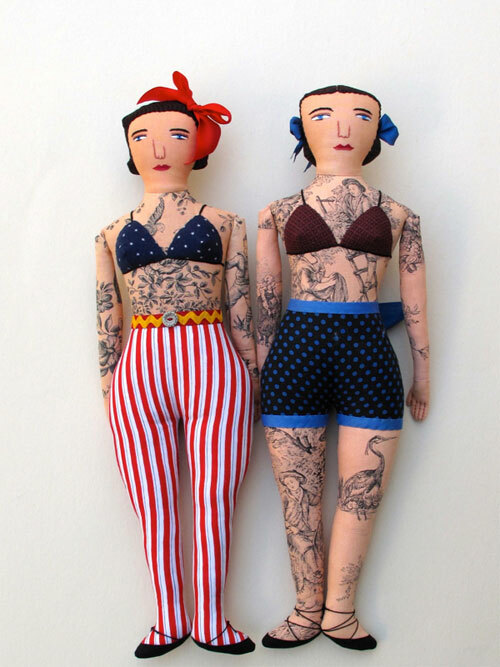 She handmakes the dolls at home in Arlington, Massachusetts using recycled materials. 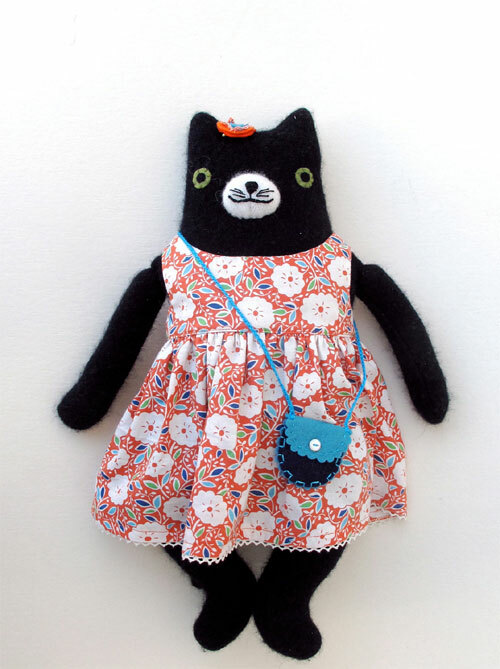 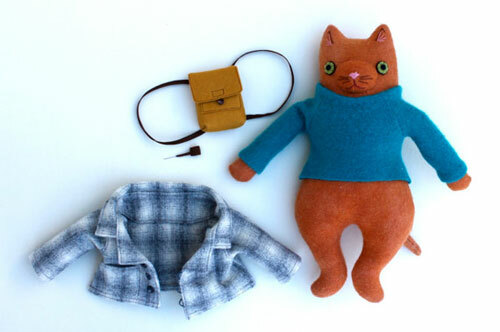 Each dolls is one-of-kind made with vintage, recycled fabric, buttons, lace and antique trims. 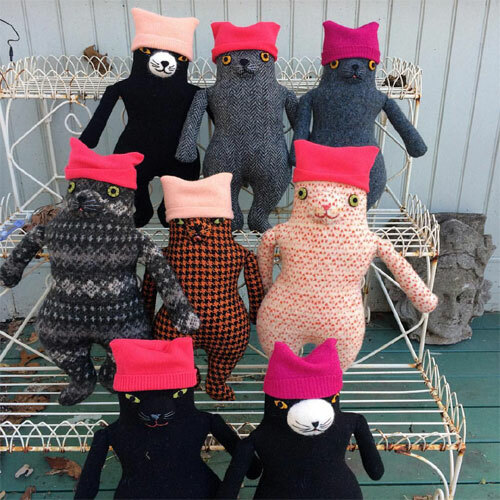 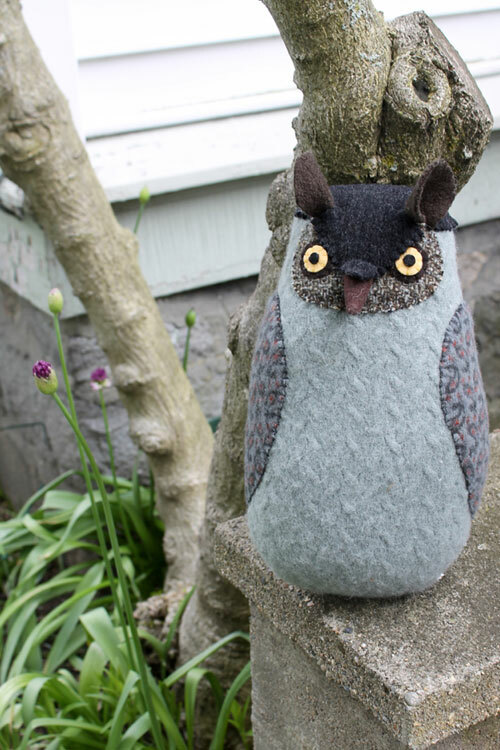 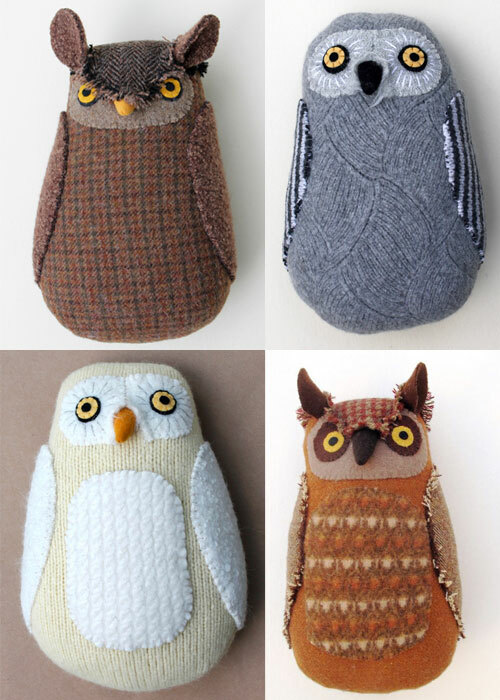 Her online store offers owls, fish, human figures and even patterns if you would like to make one for yourself. 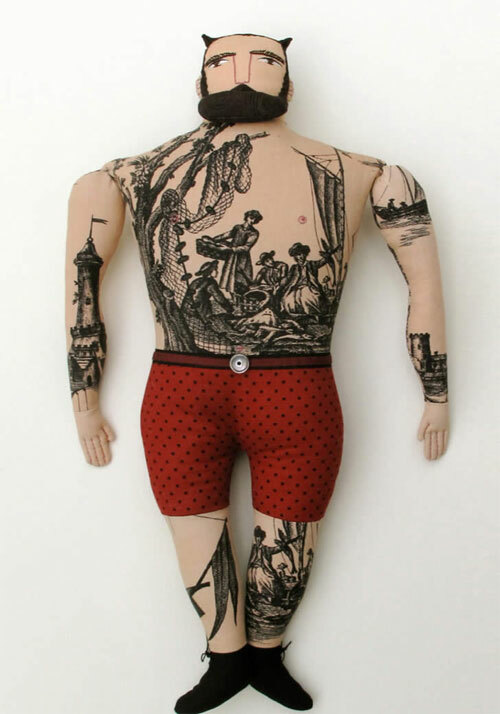 To see more of her work and to learn about the process go to her website.